Anne Carrier graduated from the School of Architecture at Université Laval and went on to found the Anne Carrier Architecture firm in 1992. Her unique integrated design approach develops an identity-based architectural culture for Quebec combining tradition and modernity. She is also president of the Association of Architects in Private Practice of Quebec (AAPPQ), where she actively promotes the excellence and advancement of the profession. As a speaker, mentor and excellence award partner, she contributes to shaping the next generation of architects and is an inspiring model for them. The achievements of the agency she heads up have received numerous architecture awards, including the Ordre des architectes du Québec's Award of Excellence, the 2016 Governor General's Medal in Architecture, and the 2018 Architecture Masterprize. 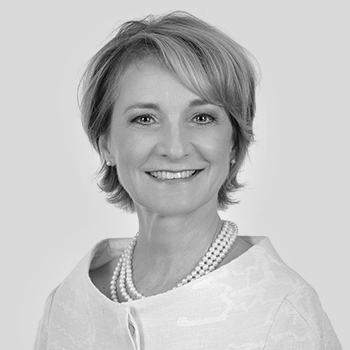 Throughout her outstanding career, Anne Carrier has also received many accolades in recognition of the excellence of her projects and the quality of her exceptional entrepreneurial endeavours, including the title of Fellow of the Royal Architectural Institute of Canada (RAIC), the Medal of the Quebec National Assembly, Université Laval's "Gloire de l’Escolle" medal, and being elected to the Royal Canadian Academy of Arts (RCA). 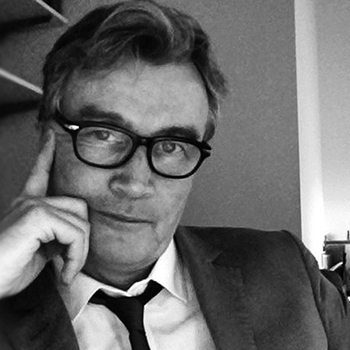 Barry Johns is a multiple award-winning architect and urban designer in Edmonton, Alberta, Canada and an acknowledged expert in sustainable design. He is the past Chancellor of the College of Fellows, Royal Architectural Institute of Canada, and currently Director of Practice for the Alberta Association of Architects. 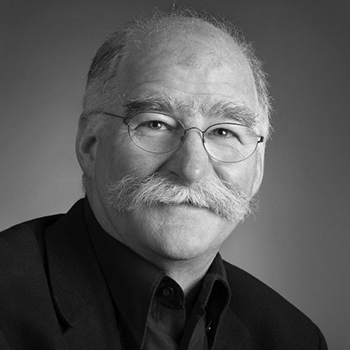 His career began with Arthur Erickson in Vancouver and spans 35 years of private practice, teaching, public lectures, architectural juries, and volunteer service with professional boards across Canada. He was an instrumental founder of the RAIC Centre for Architecture at Athabasca University, an online professional program of architectural studies that is serving more than 600 students each year in 16 countries around the world. In 2000, TUNS Press published a monograph on the early work of his firm, Barry Johns Architects, and in 2017, the firm published an online retrospective entitled Beyond Green – Going Nature-al, available for download on the firm’s website. He was the first international recipient of the prestigious Leslie N. Boney Award from the American Institute of Architects for outstanding contributions to the profession in 2018. Eva Matsuzaki, nee Pupols, was born in Riga, Latvia. She emigrated to New York City and received her Bachelor of Architecture from Cornell University in 1966. Matsuzaki first worked at Eero Saarinen/Kevin Roche John Dinkeloo's office, and as a junior, worked on new wings of the Metropolitan Museum of Art. 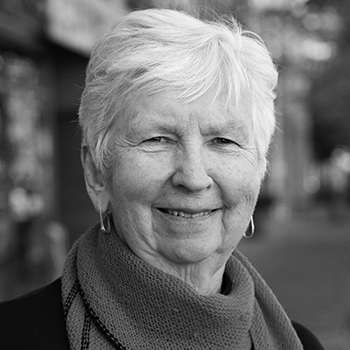 Moving to Vancouver in 1972, she worked alongside her husband Kiyoshi Matsuzaki, PP/FRAIC at Arthur Erickson Architects and was in charge of the conversion of a former courthouse into the Vancouver Art Gallery. In 1984, Eva and Jim Wright formed Matsuzaki Wright Architects. Her most notable project was the C.K. Choi Building at UBC, an award-winning pioneer in sustainability that includes waterless composting toilets, as well as reused bricks and timbers. Eva Matsuzaki’s volunteer work in Vancouver includes the founding of Women in Architecture. She served as the Chair of the Canadian Architectural Certification Board and was the first female president of the Royal Architectural Institute of Canada in 1998-99. Gilles Saucier graduated from the School of Architecture at Université Laval in 1982. Soon after, he established the Montréal architectural firm Saucier+Perrotte Architectes, a multidisciplinary practice internationally renowned for its institutional, cultural, and residential projects. Since 1990, he has been a visiting professor and an invited critic at several Canadian and American universities. As Design Partner, he is responsible for the design integrity of all projects, with specific attention given to architecture’s connection to geology and the landscape. In 2004, his firm represented Canada at the prestigious Architecture Biennale of Venice. In 2014, Gilles Saucier and his partner André Perrotte were the first recipients of the new Prix du Québec for design and architecture, the Prix Ernest-Cormier, and they are the recipients of the Gold Medal 2018 from the Royal Architectural Institute of Canada. Beginning in 2002, the Canadian Center for Architecture began archiving a large selection of drawings and models produced by the firm. 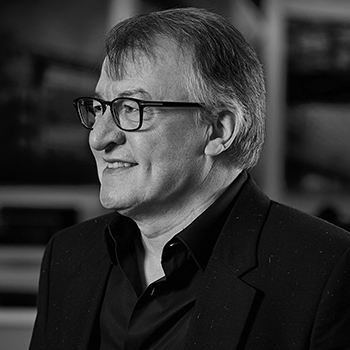 Stephen Hodder was educated at the School of Architecture, University of Manchester, graduated with Distinction in 1981, and became a member of the Royal Institute of British Architects in 1982. He established Hodder Associates in 1992. In 1996, the practice received the most important award in British architecture for a single building, the inaugural RIBA Stirling Prize for the Centenary Building, University of Salford. He has now won over 40 major awards. He was awarded an MBE for services to architecture in the Queen’s Birthday Honours List, 1998. In 2006, Hodder won the “Architect of the Year” Roses Design Award and also received an Honorary Doctorate from Manchester Metropolitan University for his regional, national, and international contributions to architecture. He received an Honorary Fellowship from the University of Central Lancashire in 2013. David Covo is an Associate Professor and past Director (1996-2007) of the Peter Guo-hua Fu School of Architecture at McGill University, where he teaches design and drawing, sketching, and professional practice. He is a Fellow of the Royal Architectural Institute of Canada and a member of the Order of Architects of Quebec (since 1976). 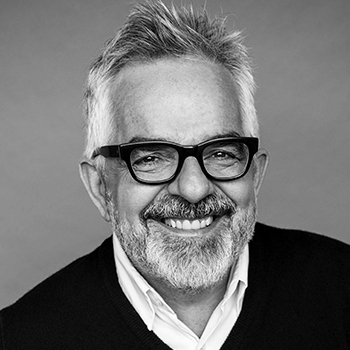 A past President of the Canadian Architectural Certification Board, he is currently a member of the Advisory Committee for the RAIC Centre for Architecture at Athabasca University and a director of the Arthur Erickson Foundation. His research is related to his teaching and practice and has addressed drawing and design, sustainable design, barrier-free design, and housing. 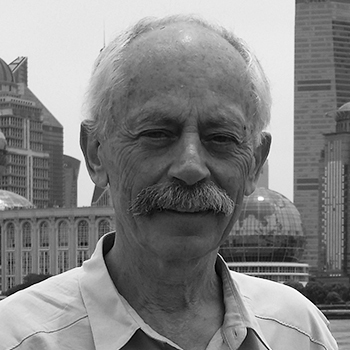 He worked in Pakistan in 1976 with John Schreiber and Yasmeen Lari, Architects, and has since worked in teaching and/or research in Mexico, China, Romania, South Korea, and Singapore. Professor Covo has served as the Professional Advisor for the Moriyama RAIC International Prize since the first round of the Prize in 2014. Other juries on which he has served include the competitions for the Canadian Museum of Human Rights in Winnipeg, the Canadian High Arctic Research Station in Cambridge Bay, and most recently, the transformation of the Musée d’art contemporain in Montreal.